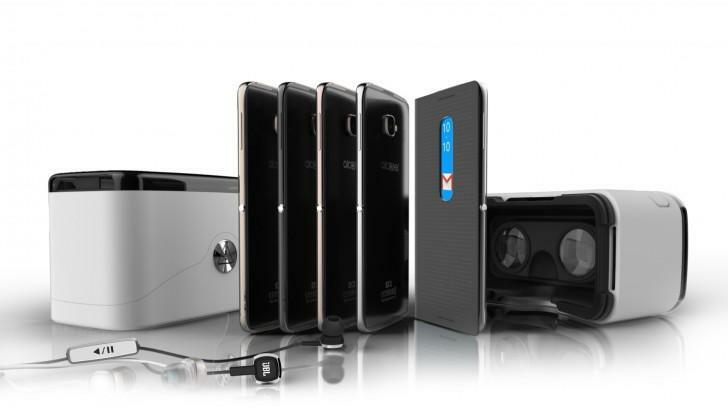 Alcatel announced its new flagship IDOL 4 and IDOL 4S models at the MWC venue. In a lot of ways, the devices are a logical upgrade over last year's IDOL 3 series, although, the OneTouch moniker seems to be absent this time around, but more on that later. The styling is quite similar and Alcatel has made sure to include its signature reversible design one again. This time, however, it has been taken one step beyond with three way reversibility - the phone can operate in both vertical orientations, horizontally and even when you turn it around the stereo sound orientation remains correct. And while we are on the topic of sound, both IDOL handsets promise a superb experience, thanks to the collaboration with JBL and Waves. This includes two powerful 3.6 watt speakers, Hi-Fi surround-sound for the headset, and optimization of audio presets both automatically and manually. 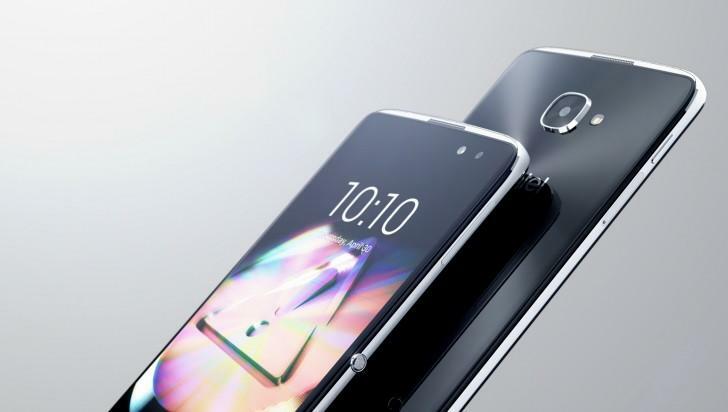 The new Alcatel premium line comes in two main varieties. The basic IDOL 4, measures 147 x 72.5 x 7.1 mm and is equipped with a 5.2” FHD (1080 x 1920), IPS LTPS display. Underneath the hood is one of Qualcomm's new mid-range chips - the Snapdragon 617, along with 3GB of RAM and 16GB of storage (10GB user-accessible) with a microSD slot. The camera setup consists of a 13MP main shooter, with touch focus, auto HDR and the promise of ultrafast auto-focus (0.1-0.3 seconds). It is complemented by an 8MP front camera with a flash. Other features include Cat.6 LTE, as well as a dual-mic noise-canceling setup and dual 3.6W speakers. The more premium Alcatel IDOL 4S ups the stakes even further with a 5.5-inch QHD AMOLED display inside its 153.9 x 75.4 x 6.99 mm body. The processor is also improved - the Snapdragon 652. Storage is bumped up from the core model to 32GB (25GB accessible) and so is the battery - 3000 mAh, instead of the 2610 mAh, inside the IDOL 4. 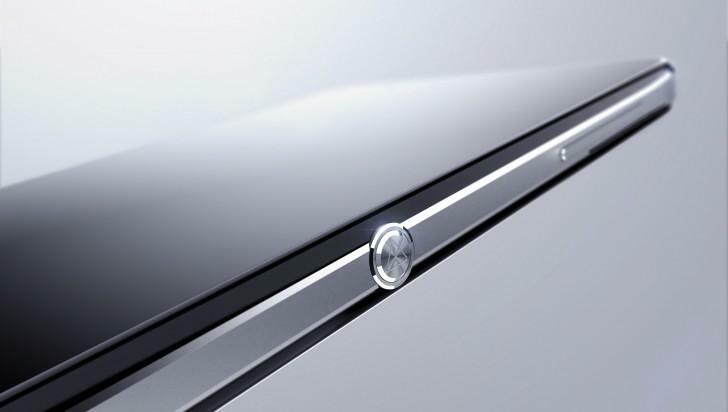 Another innovation to the series, which Alcatel made sure to stress upon is a new physical button, dubbed the BoomKey. It is mapped to do a whole bunch of interesting things across the Android 6.0 Marshmallow OS, some admittedly more logical than others. "Boom my camera" for instance is a quick way to shoot photos from standby and "Boom my music" promises audio optimization, no matter what is playing (although it raises the question why would you want to have it off). "Boom my videos", introduces "surprising effects in existing videos", "Boom my game" releases Nitro in Asphalt games and "Boom my view" intensifies the 3D parallax effect in the launcher. And while we are on the topic of 3D, a nice little addition to the IDOL 4 mix, comes courtesy of its retail box. It can be easily transformed into a Google Cardboard-style headset for an entry level VR experience. 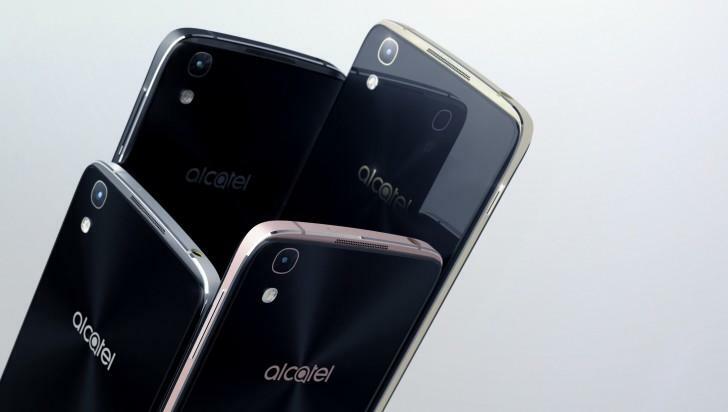 Last, but not least, as part of this year's announcement Alcatel OneTouch decided it is time to simplify the moniker and shorten in to Alcatel. The company still remains part of the TCL Communications family, so only the branding is changing, along with a new logo design.